TESA, or testicular sperm aspiration, also called TESE, or testicular sperm extraction is a majorly used surgical sperm harvesting method to retrieve sperm in patients with azoospermia. This is a surgical sperm retrieval or recovery methods used to recover sperm from the male reproductive tract after cancer treatment as well. In recent years, numerous young men and women have been diagnosed with cancer. The statistics increase every year as more people at a young age are affected by this severe disease. Anticancer treatments have developed gradually and have successfully reduced the mortality rate related to cancer. Hence, it has become utmost important to save the fertility of cancer survivors fighting cancer in their childbearing ages. Such fertility preservation will give them a chance to complete their families once they recover. This is a microsurgery executed to retrieve epididymal sperm. The method is easy and cheap. Infertility specialist performs this technology which is very less traumatic for the patients. It requires no cut in the scrotum and, hence, the patient is not worried about any scar marks. TESA is a preferred method in India, UK, and Belgium. Patients suffering from obstructive azoospermia, where the sperm cannot be found in the epididymis, sperm can be found in the testis. TESA is an effective way to retrieve this sperm. The testicular tissue is sucked out through a fine needle under this method to retrieve the sperm. The process is performed under local anesthesia. Afterward, the testicular tissue is placed in culture media and taken in the laboratory for testing. The sperm collected out of this method are liberated from within the seminiferous tubules. This where the sperm is produced. They are later dissected free from the surrounding testicular tissue. It is logical to use sperm from the epididymis and testis in ICSI for patients suffering from obstructive azoospermia. Patients who have a testicular failure (nonobstructive azoospermia), can also be benefitted by this process. men, who have very small testes also are benefitted by TESA. The procedure is helpful for all men suffering from issues in producing sperm. TESA is a simple process as the blood vessels are not touched. Hence, it does not cause pain to the patient. There is no damage caused to the testes as well. So, the procedure can be attempted in few months. However, few fertility treatment agencies sometimes use microsurgical treatments to retrieve sperm. Urologists do not support search procedure when it can be very simply done through TESA. The cost of TESA is also 10 times lesser than microsurgical procedures. Multiple diagnostic biopsies are performed under diagnostic TESA to determine the production of sperm in the testes. The diagnosis is a testicular failure if no sperm is found. The patient has suggested donor insemination or sometimes adoption if no sperm is found in the diagnosis. In case testicular sperm is found, those are cryopreserved and are used for ICSI procedures later. 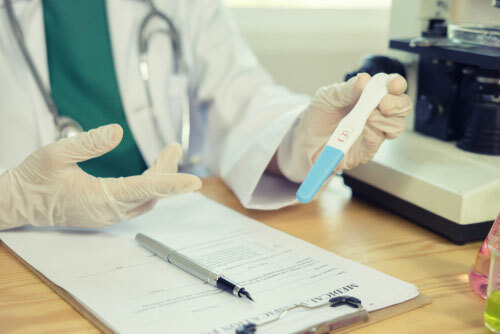 Diagnostic TESE is very affordable and does not require expensive super ovulation injections given to the woman partner. Infertile couples choose this option over the others due to its affordability and effectiveness. TESE is performed for cancer survivors to find out the quality of the sperm after their treatment procedure. Cancer treatment is severe, and it damages the quality of sperm. TESE diagnosis is done once the chemotherapy and radiation sessions are over. It detects the sperm count and quality and decides the next course of action.